2015 Review – Reasons To Be Cheerful Part 4. What should’ve been prime hawker season started very slowly. 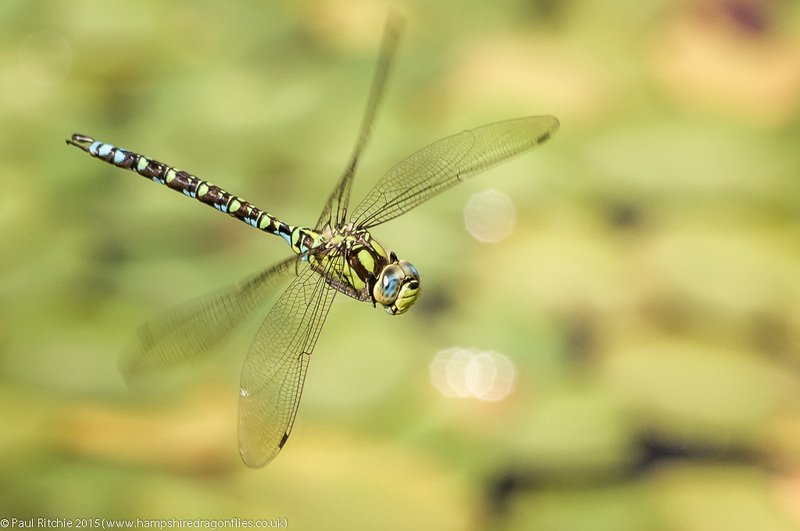 I only needed one or two willing subjects to keep me amused over-water, but the lack of hawkers decorating the foliage along proven paths was cause for concern. Paying my dues at the pond which started it all at least gave me a little sport with Emperor and Southern Hawker vying for territory. 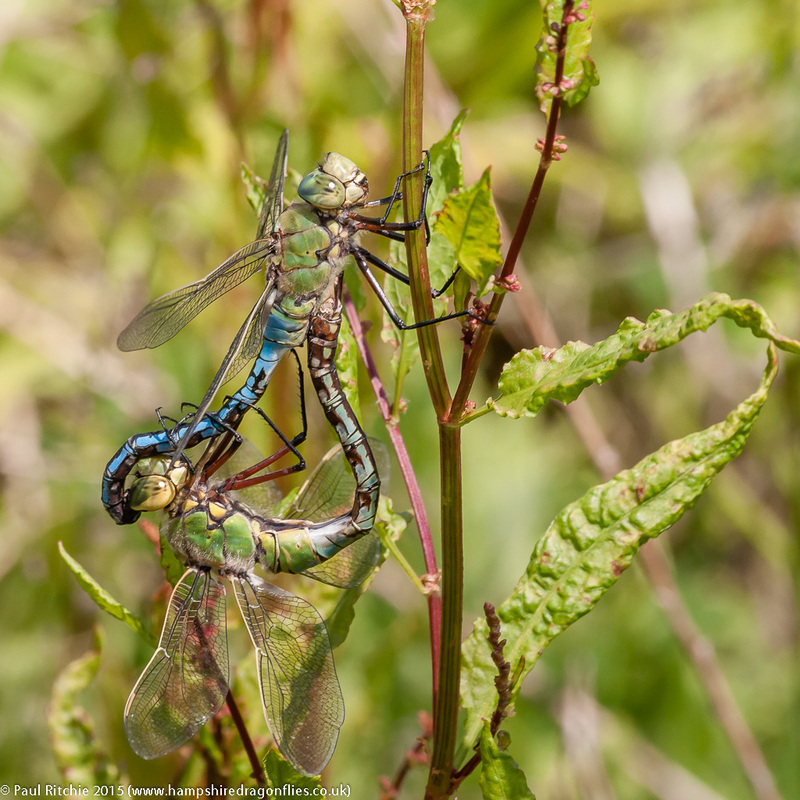 Despite having their own preferred areas they would occasionally meet in a dog-fight display that appeared more playful than aggressive. September arrived way too soon for my liking and I hungered for properly satisfying day, so the first good forecast prompted our first seasonal visit to Priddy in North Somerset. Steve Covey and Damien Pinguey were already on site when Sue and I arrived, and Jerry Hawker and Mike Dimery joined us shortly after for an socially-enjoyable romp through the saturated shores and thickets. 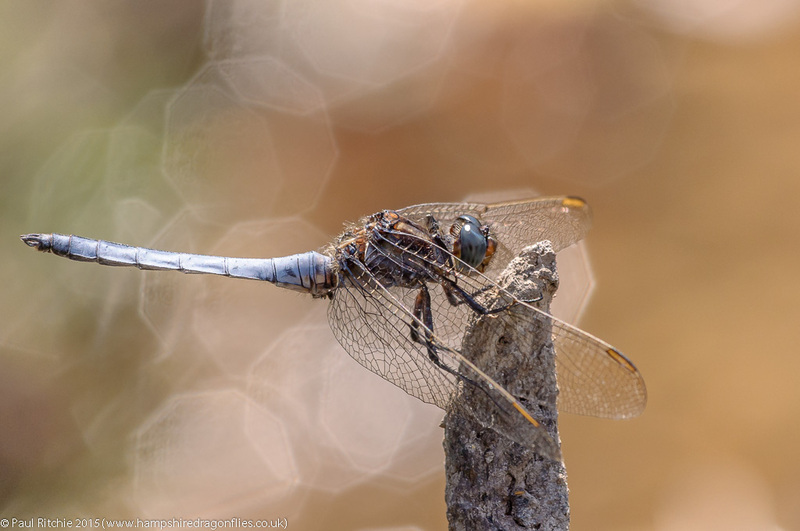 It was mid-September before I started seeing hawkers decorating the paths to a better standard, but the combination of bad weather and beetle-damaged heather meant the once-bountiful prey haven of Ramsdown was sorely lacking. Even the ponds were quiet and I really had to test my patience waiting for some sport. 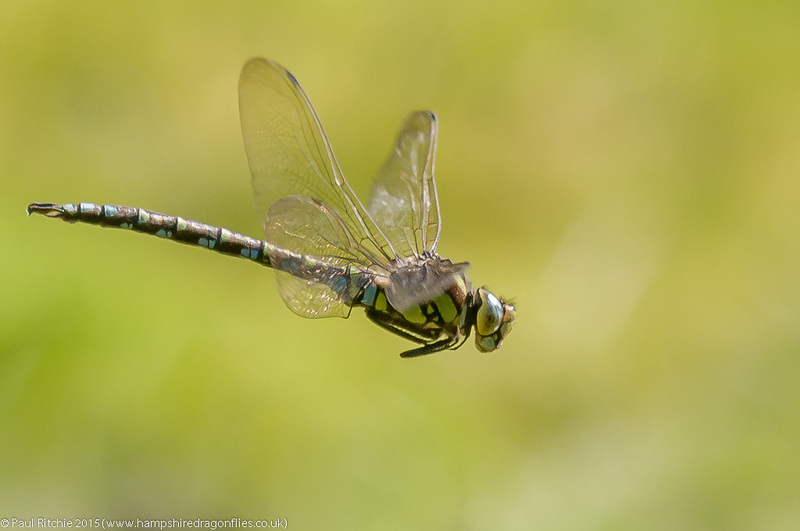 In hindsight maybe I should’ve accepted that the dragonflies had moved elsewhere in search of better pasture. A great shame, but it will recover. Thankfully Bramshill still had plenty to offer with an enjoyable day spent with Sue. 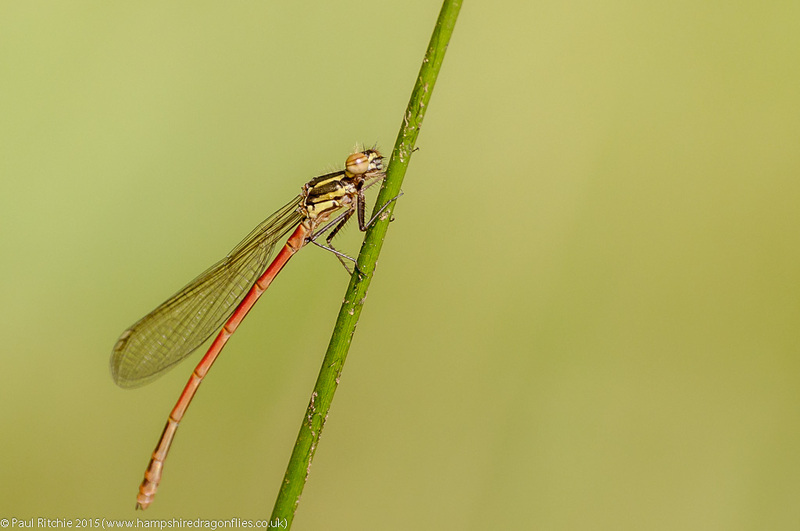 There was one pond which I accidentally came across earlier which I needed to relocate, and thankfully did so with the benefit of finding an easier way in. I did manage to fit in another visit to Priddy before the bell tolled, and it really proved to be hard work. 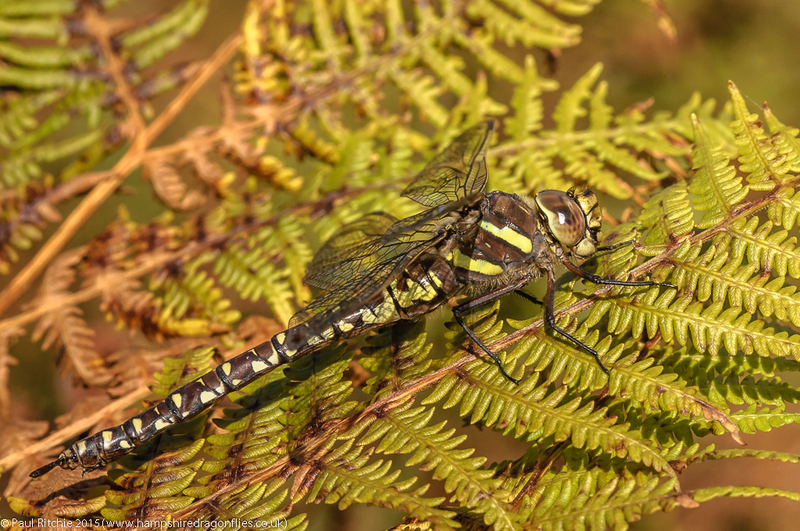 Patience and tenacity paid off after several hours with a female Moorland Hawker perched for a change. 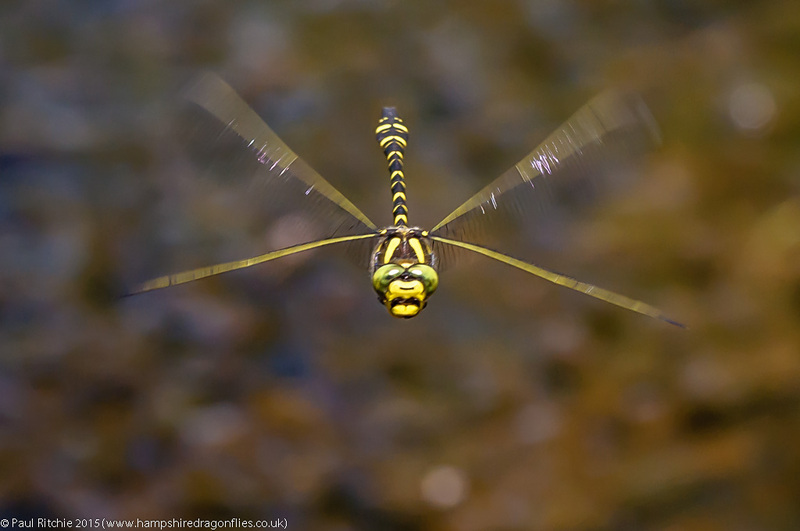 My season concluded at Cadnam Common, with the majestic Southern Hawker providing the swan song. Looking back through the year has been insightful. Spring is a glorious time. Full of new life, anticipation and expectations. Summer is colourful and bountiful. Hawker season is both exhilarating and melancholic, knowing that September will pass in an instant. This year has seen unprecedented late flights, even through to December, an indicator that our weather isn’t acting as it should. The change that occurred in mid-July had repercussions which were evident through the remaining season. Let’s hope next season will bring nature back on track. Until then it only remains for me to wish everyone a Merry Christmas and a prosperous New Year. 2015 Review – Reasons To Be Cheerful Part 3. 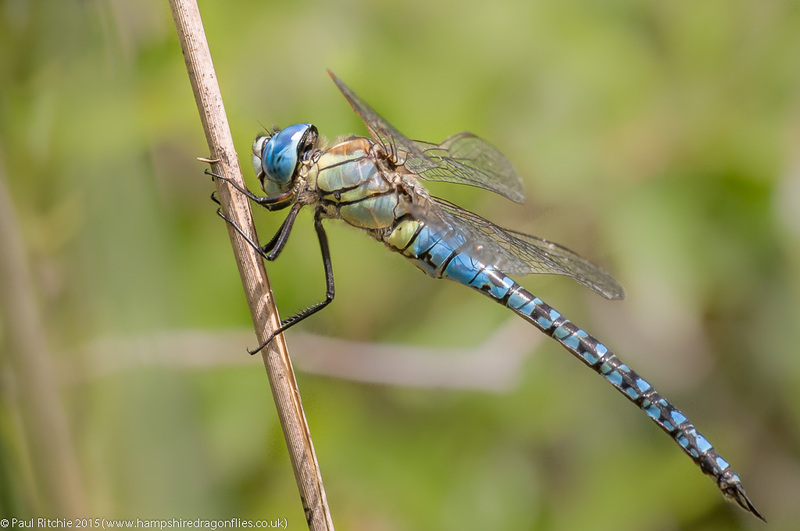 July began with a delightfully-posed Blue-tailed at Pennington. Calling into Crockford on the way back I bumped into Stephen Darlington. Always a pleasure to meet friends in the field. 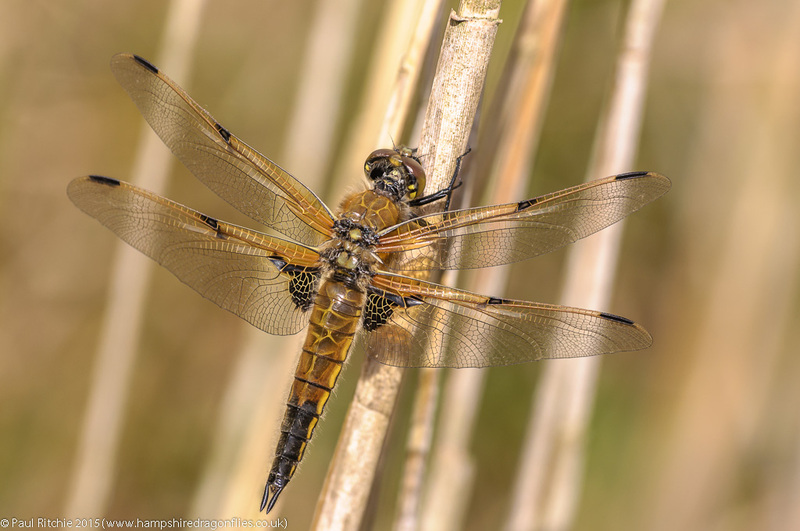 The Golden-ringed were showing well and even the Keeled Skimmer (even keeled?) provided a pleasant opportunity. 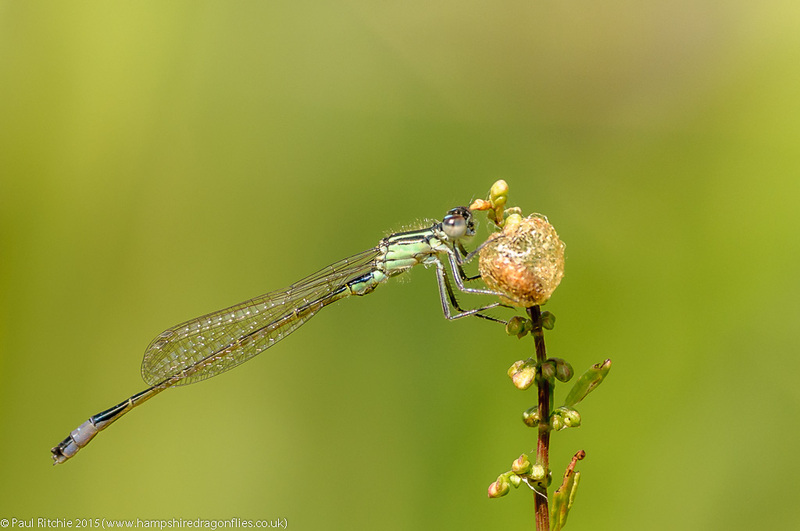 The next great day came at Bramshill where I was delighted to find a patrolling Brilliant Emerald holding territory over one of the small pools. July’s weather proved to be a little miscreant, and very frustrating in what was prime summer season, so I had to content myself with a few local jaunts. 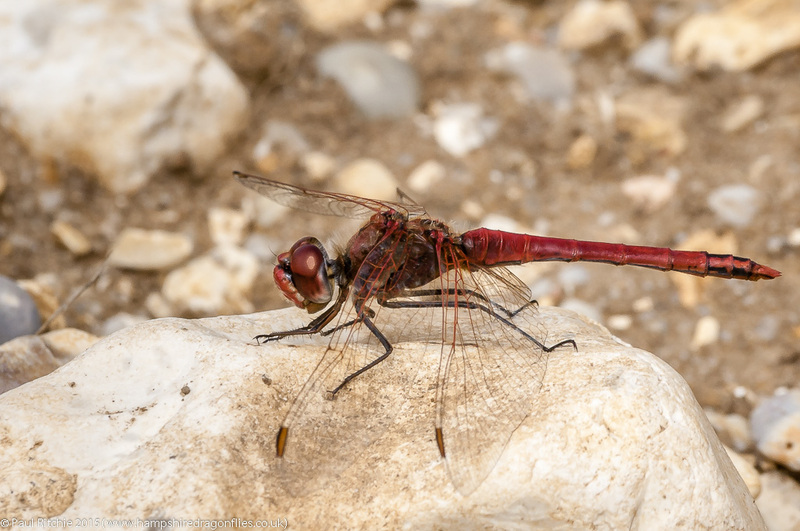 At least I managed to connect with those Red-veined Darters again. 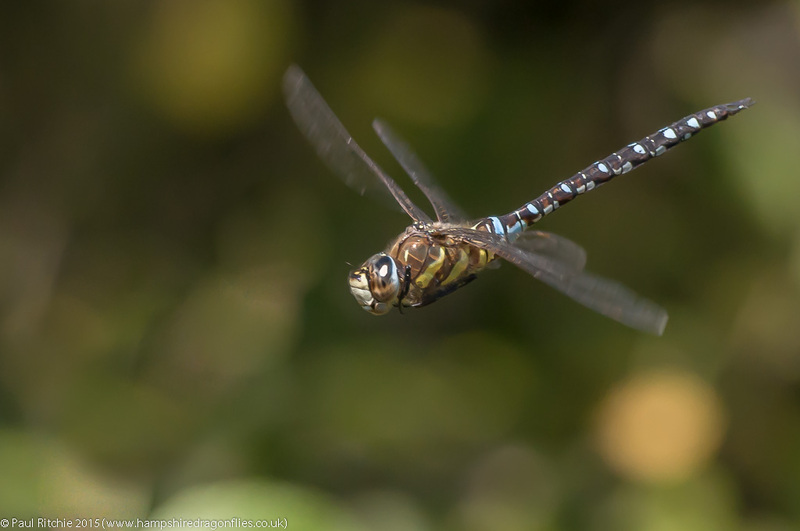 To round off the month I met Jerry (Hawker) for an amble along Ober where despite the lack of action there were still some delights to be had, while August began with a bang with a trip to Essex and a brand new species for me, the quite spectacular Blue-eyed (Southern Migrant) Hawker. The very next day Sue & I finally met up with Aaron Cook at Bramshill for a spot of filming on what turned out to be an ideal sunny day. Highlights included finding a colony of Small Red-eyed and some magnificent shows by the Emperor. 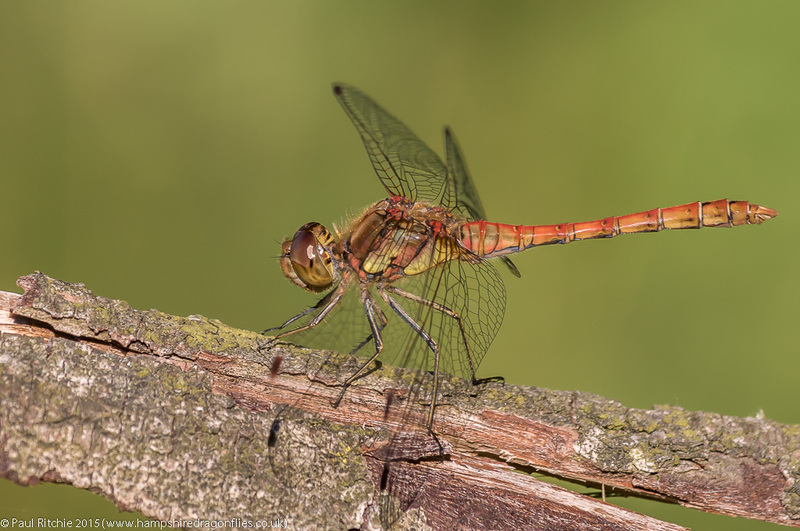 Even a Common Darter provided a pleasing opportunity. 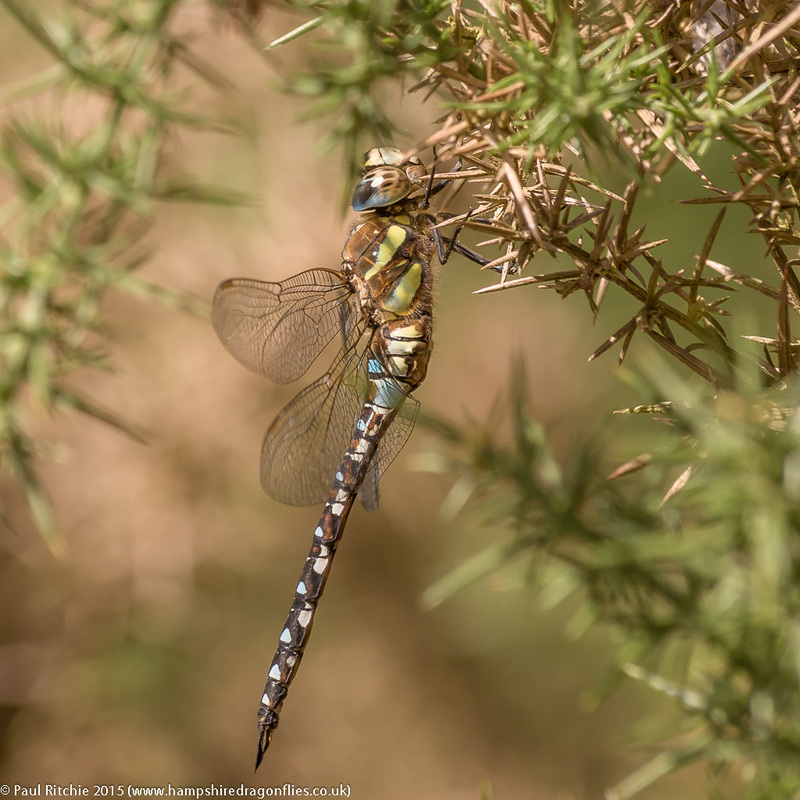 A few days later I completed the Hampshire species list with a Moorland Hawker at Ramsdown, so provided the weather allowed I could indulge for the rest of the season. 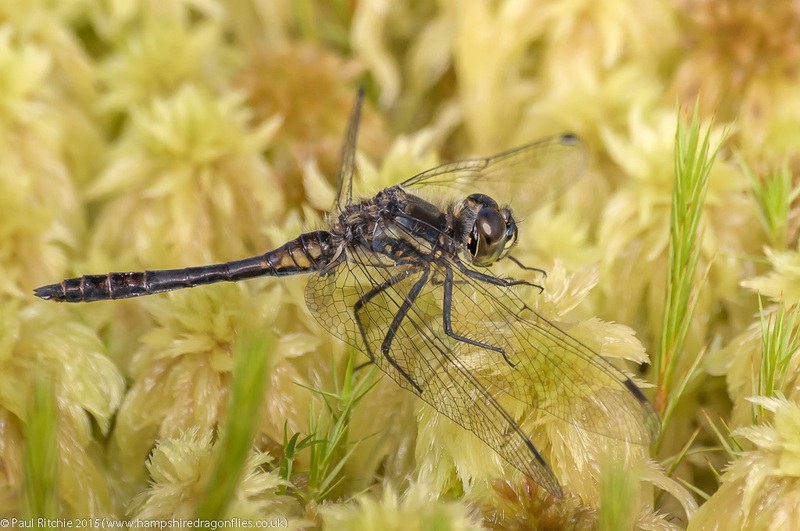 Prime hawker season is always a favourite time to spend hours at one site, and Town Common provided a fabulous Black Darter opportunity. 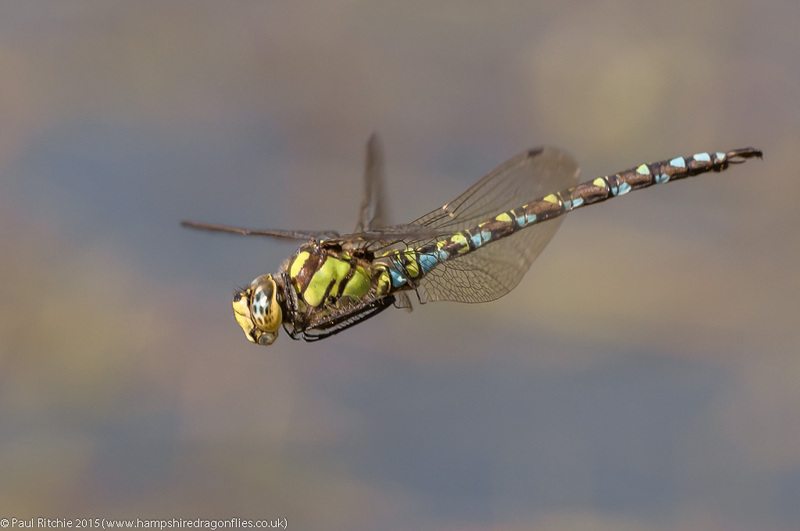 One of my fondest memories from August was watching a female Moorland Hawker spend a long while flying high above a pond waiting for the coast to clear. Fully aware from previous encounters of how shy the female is, I remained still allowing her to accept my presence and provide a marvelous opportunity as she laid her burden in front of me. 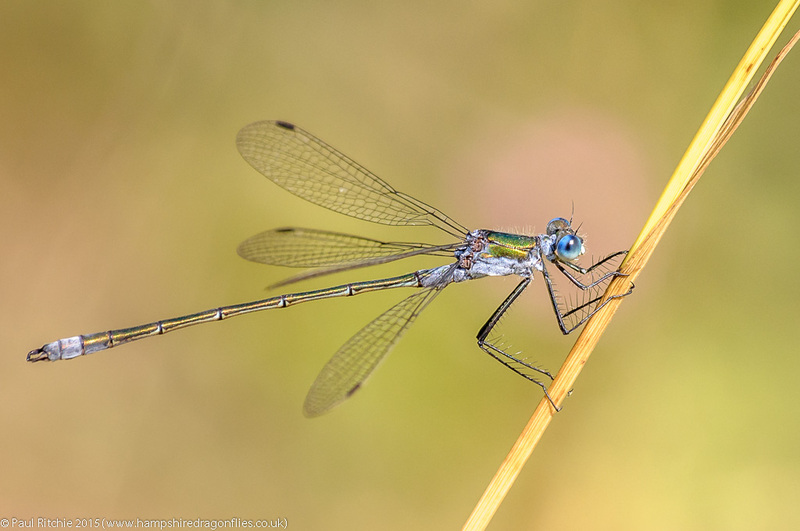 A return visit to Bentley Wood provided some excellent damselfly opportunities, including the photogenic Common Emerald. 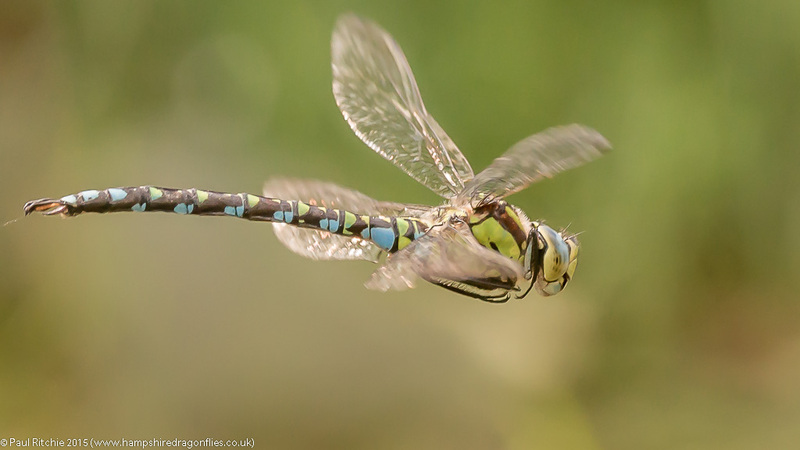 The day also provided plenty of time to reacquaint with the playful Southern Hawker. 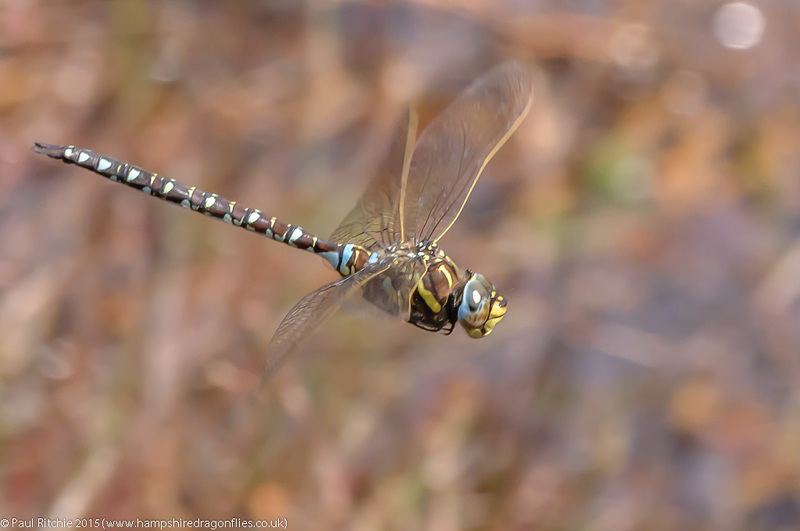 A few days later I finally managed to catch up with the male Moorland Hawker at Ramsdown. 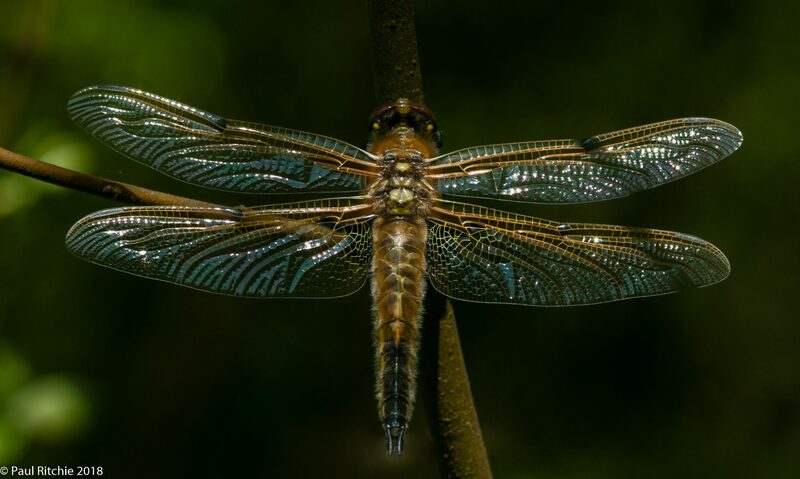 At the start of the month I was asked which was my favourite dragonfly. 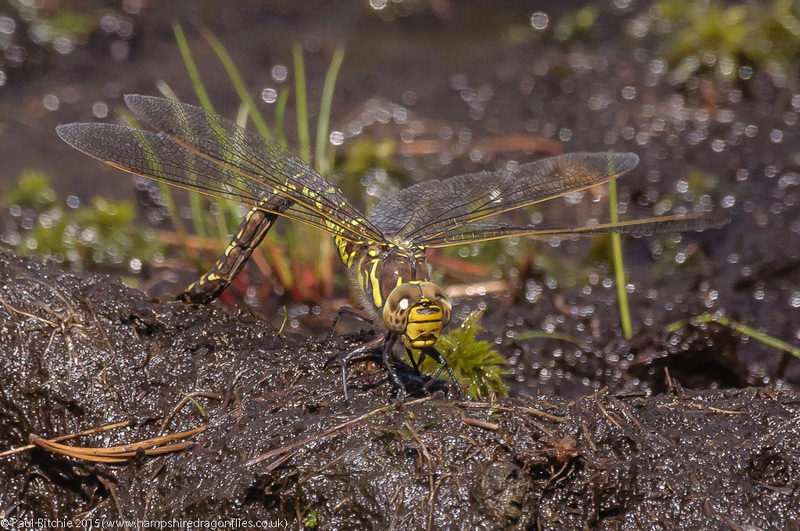 At the time I chose the Southern Hawker because they have provided many hours of enjoyment, but I have to admit a great affection for the Moorland; probably because of the hours spent in pursuit over the years. It just goes to show how difficult it is to choose favourites. 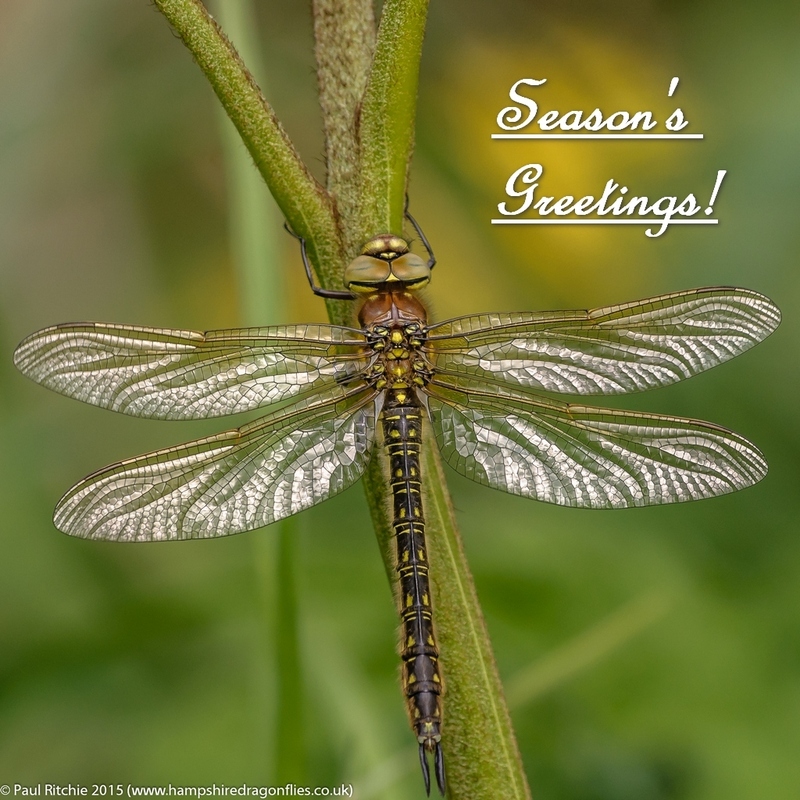 2015 Review – Reasons To Be Cheerful; Part 2. In the first installment I mentioned Troublefield. 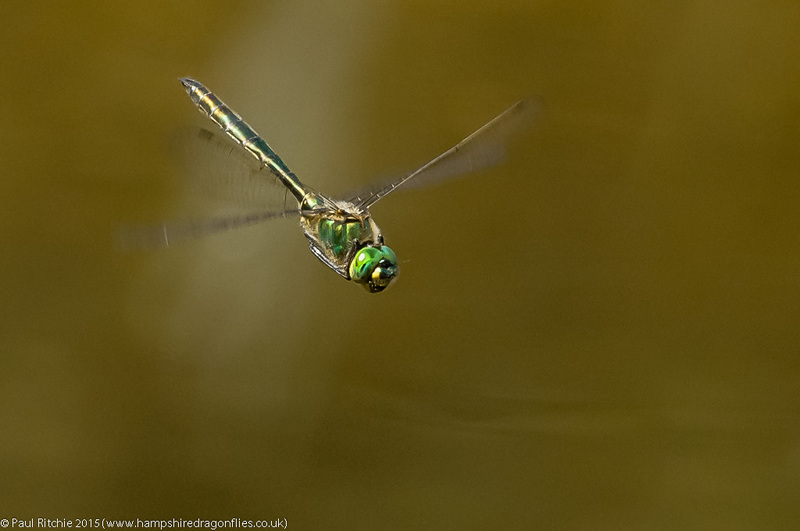 When the Spring wild flowers are in bloom the water meadow shimmers with invertebrate delight. 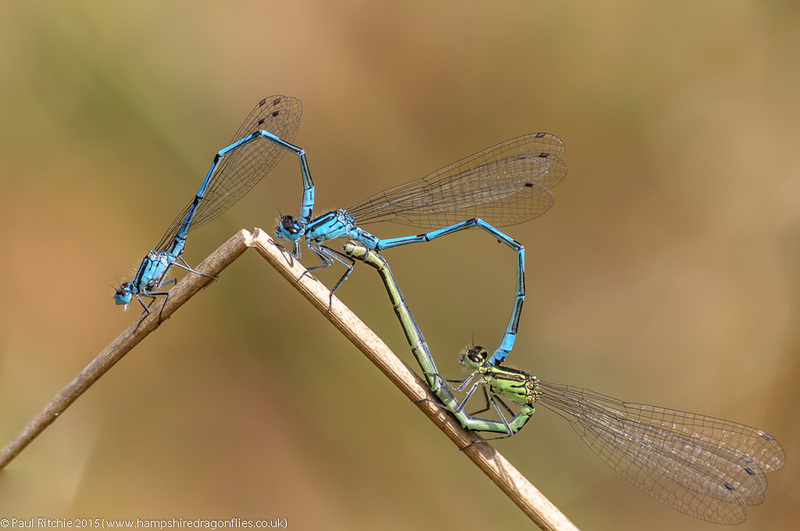 Both Banded and Beautiful Demoiselles decorate the foliage and Scarce Chasers explode with fresh citrus delight. Bramshill Common has also become a real favourite of mine, and this season I spent as much time there as possible. Plenty of nooks and crannies to explore, and plenty of surprises to be had. Another delight this season was the discovery of a new pond at Bentley Wood, which took a little finding, but it was worth it. 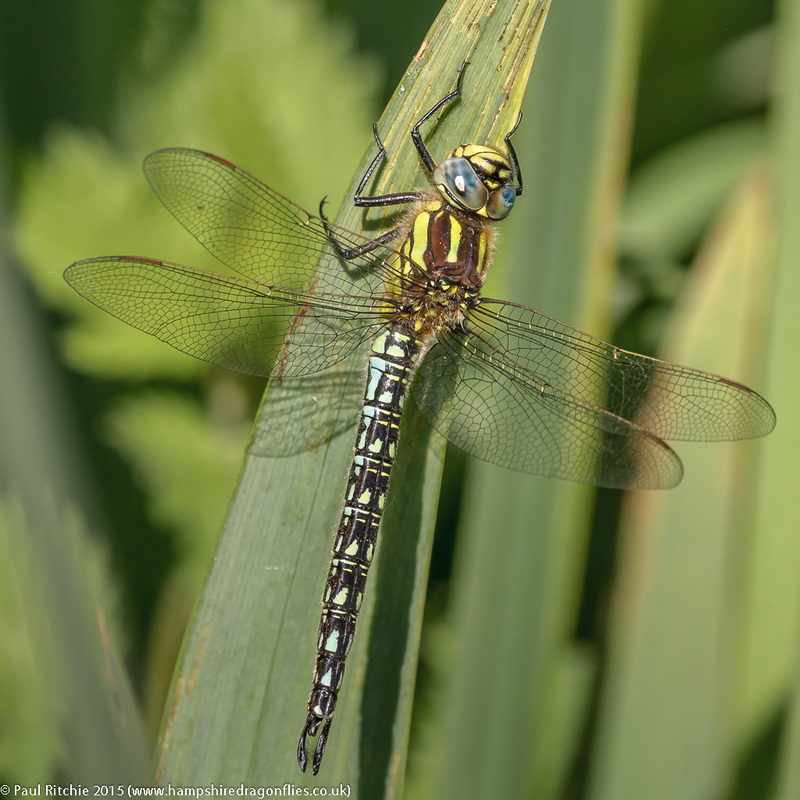 Emperor dominated supported by good populations of Broad-bodied and Four-spotted Chaser, Downy Emerald and a selection of damsels. 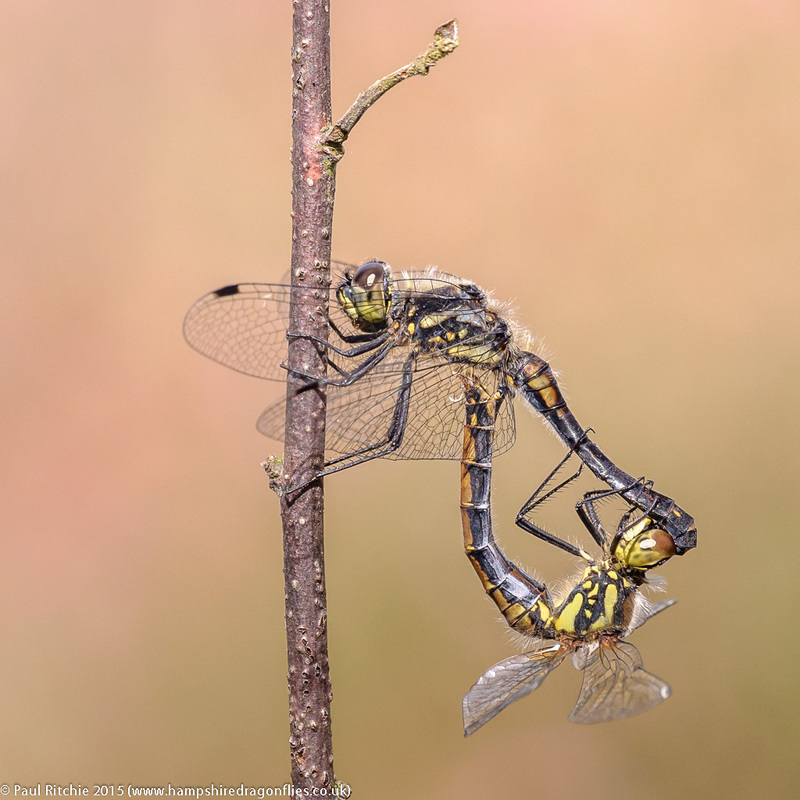 With such a large population of Emperor this had to be the place to finally bag a shot of a mating pair, and on my second visit I had the choice of three. 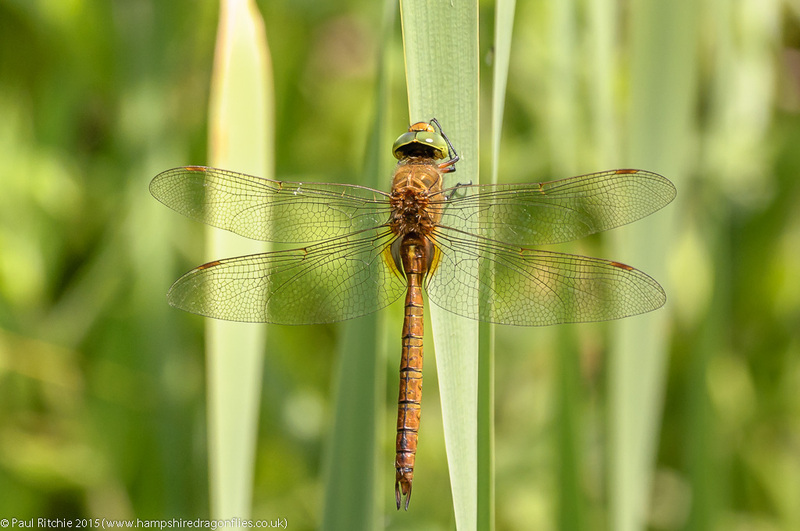 A private site in the New Forest was ripe for exploration, being the most likely place to find an influx of Red-veined Darter. 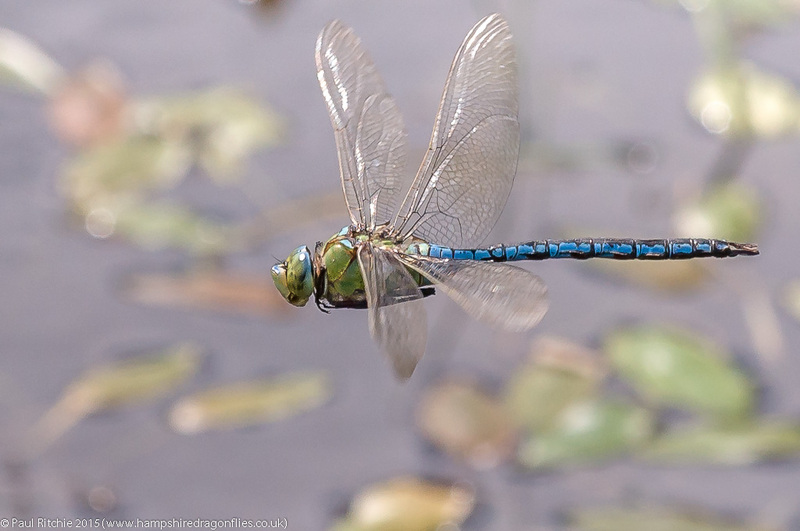 Sure enough, on Saturday 13th June I had an all-too-fleeting glimpse of a male. Unable to relocate this prize, I continued my transect to be greeted with a small, but thriving, population of Scarce Blue-tailed. 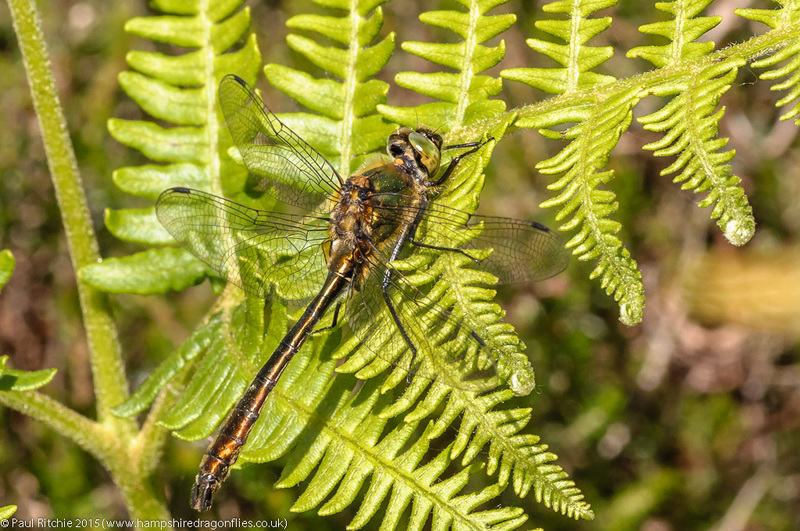 Mid June is the ideal time for the heathland summer specialists, the Black Darter, Common Emerald and Small Red. Town Common near Christchurch, again a real favourite, is my go-to place for this trio of summer delights. 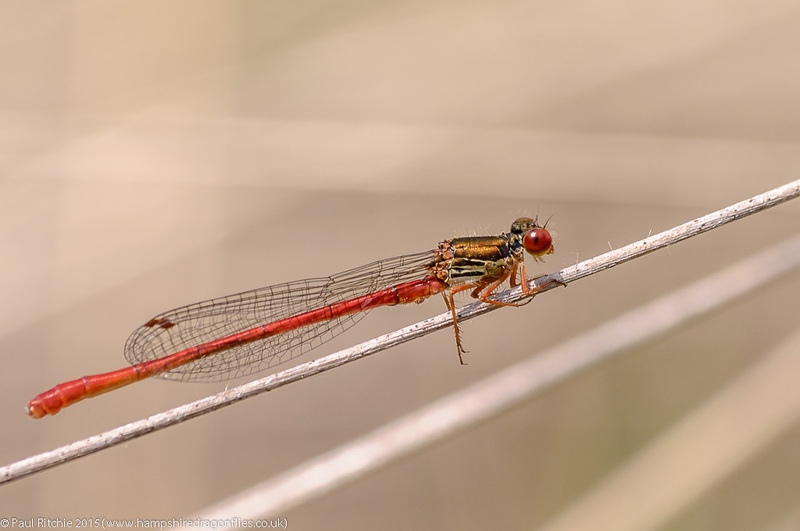 Buoyed on by adding these three to my season’s list, I thought I’d try to bag a few more along Ober Water, and I didn’t have to wait long for the first Southern Damselflies and White-legged, followed shortly after by the Keeled Skimmer. Now that’s a good day! 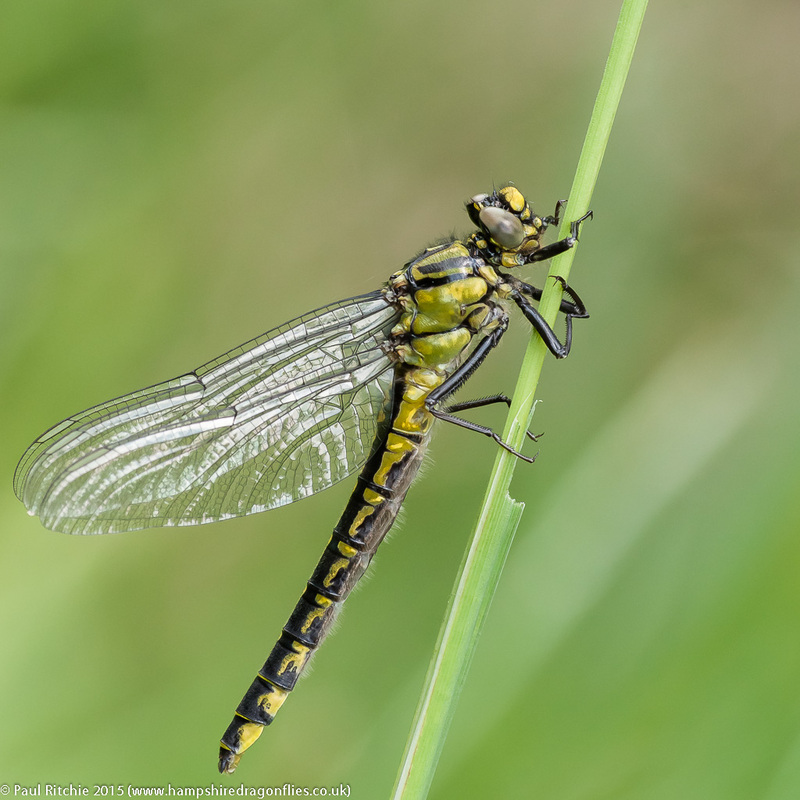 Having found Scarce Blue-tailed elsewhere I had to give Latchmore a look in. Disappointingly not the swarms I was expecting based on previous years, but some tenacious searching we came across a few males and a most welcome mating pair. Late June is one of the best times to take a river stroll, and Ober Water always provides the peace and tranquility to indulge, and the Golden-ringed always gives good sport. 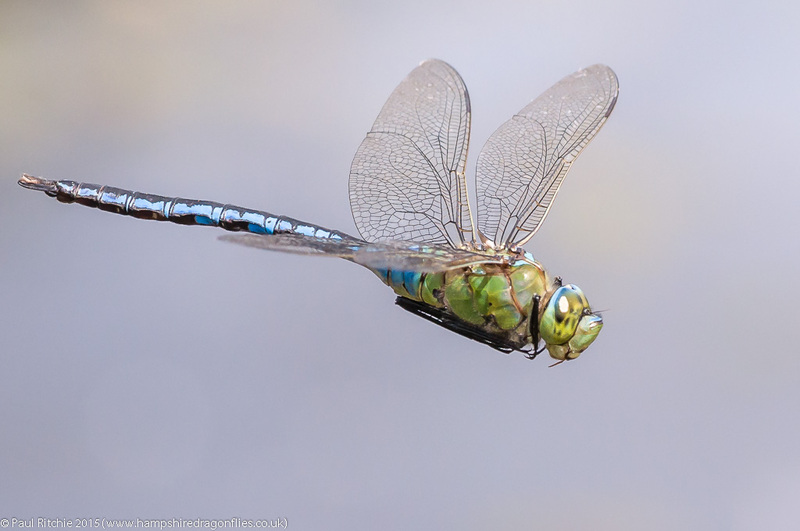 We rounded off a productive month with a return visit to Westbere Lakes in east Kent for a chance to re-engage with those magnificent Green-eyed Hawkers. A perfect end to a fabulous month. 2015 Review – Reasons To Be Cheerful; Part 1. I thought I’d do a review of the season this year; if only as an exercise in meditation. There’s something very therapeutic about writing a blog, having made a conscious decision to cut down the forums as I found the task of reviewing photos and keeping the blog up to date more than enough time to spend glued to a screen. We had a good Spring which took a while to get going, but nevertheless always enjoyable and productive. 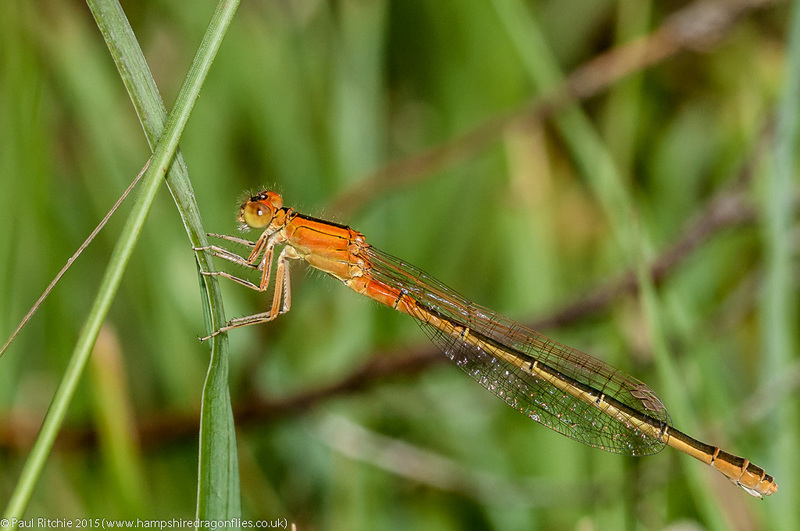 As usual, the first out of the bag was a Large Red found emerging at our local nature reserve on April 10th. 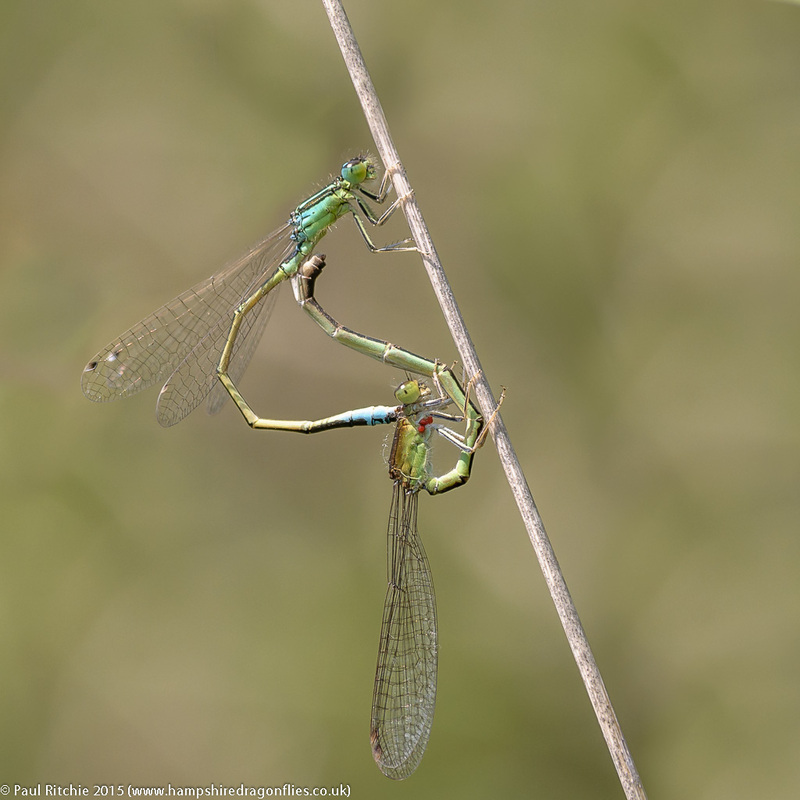 Eleven days later some welcome variety arrived some Blue-tailed and a couple of Hairy at Titchfield. 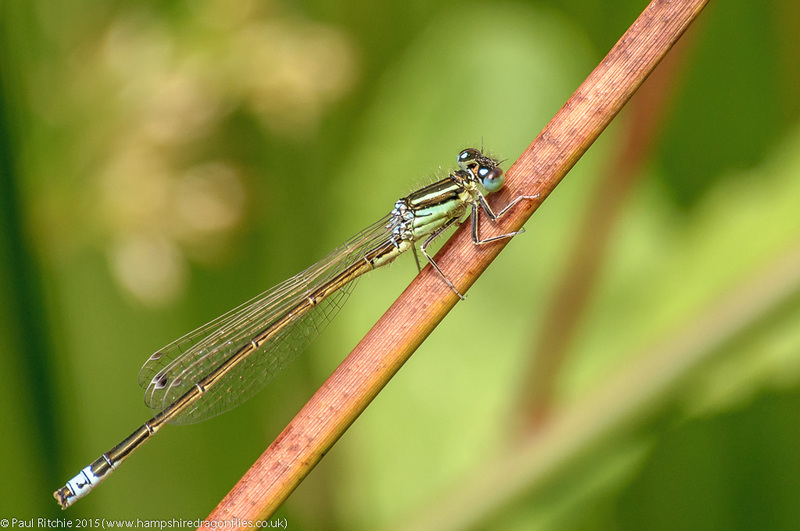 My first Broad-bodied sightings were at Cadnam Common on the 27th April – too flighty for any record shots, and in early May I found a couple of spent Club-tail exuvia and my first Banded Demoiselles of the season along the Thames path. 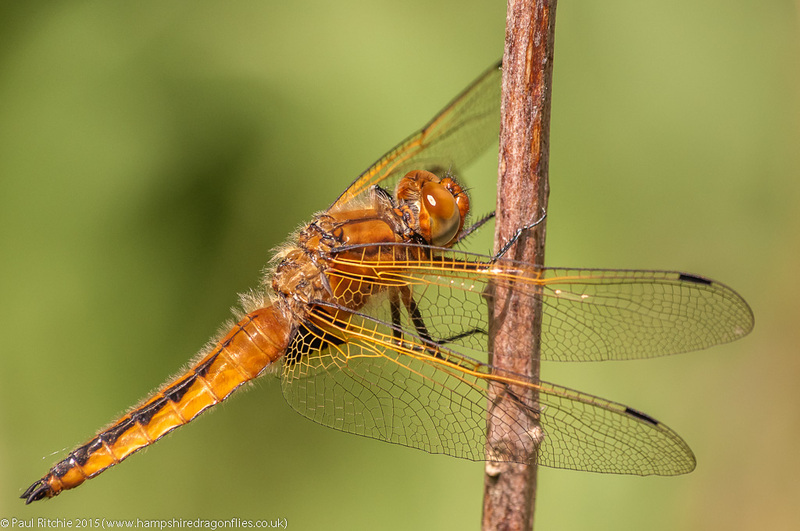 A few miles south at Bramshill I bagged my first Four-spotted Chaser, Azure and Red-eyed. Just a few miles from home is a beautiful secluded valley bordered on one side by a steep wooded hillside with a prime water meadow on the other. 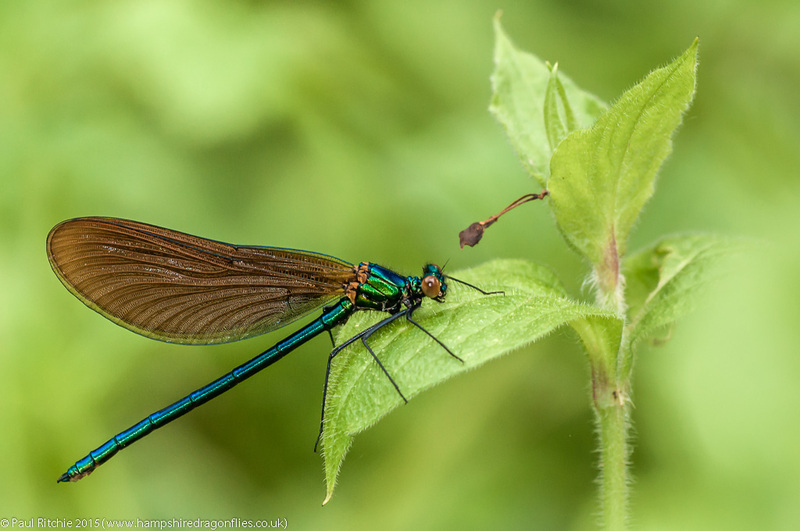 I usually bag my first Beautiful Demoiselles here and on May 7th it didn’t disappoint. 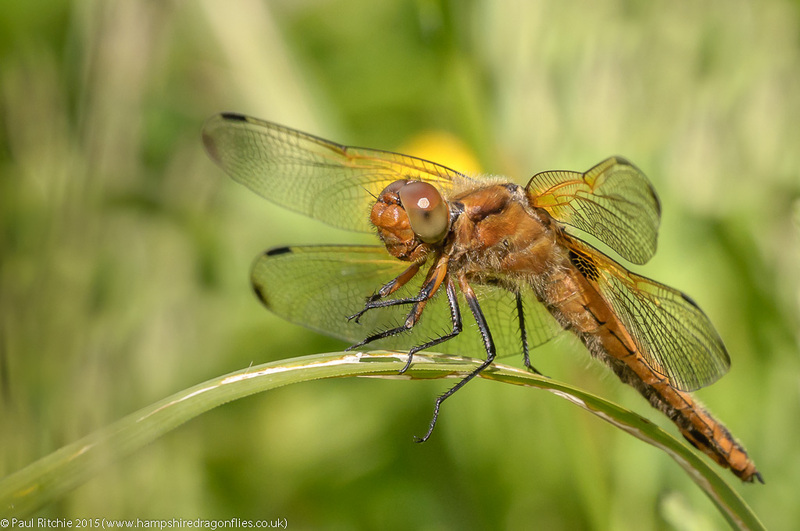 My first Downy was also found locally, a female high in the trees at the often-surprising Swanwick Lakes, and the first unforgettable day of the year was had at the always marvelous Somerset Levels, providing the locally-absent Variable and the first Scarce Chaser of the season. 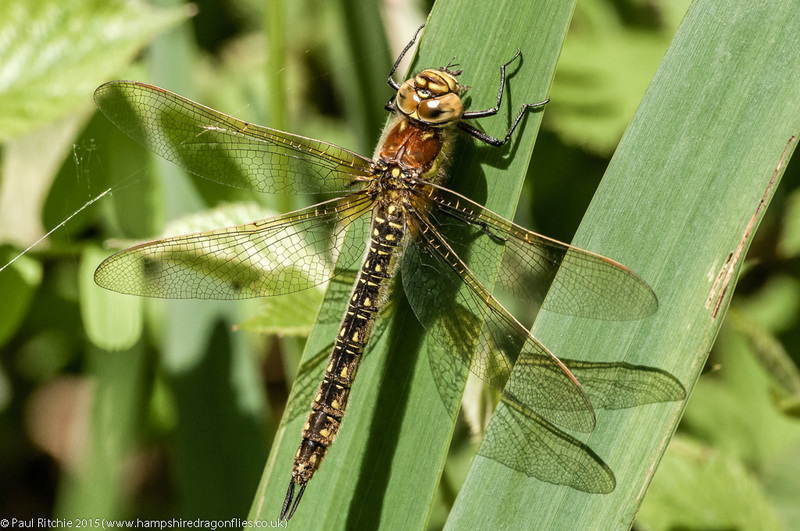 The Levels are still the best place to connect with magnificent Hairy hawker. There were plenty of opportunities this day. I had to wait until the 22nd May before I managed a shot of a Downy. No easy task, as Higher Hyde Heath didn’t produce the goods like last year. At least Studland could be relied upon. My second best day of the year came with a visit to the Thames with Marc Heath and Adrian Dowling. Anxious to bag their first ever Club-tail, we searched the bank where I previously found the exuvia. Despite a little trepidation any initial worry was soon overcome with our first emergent high in a tree, but much better was to come.